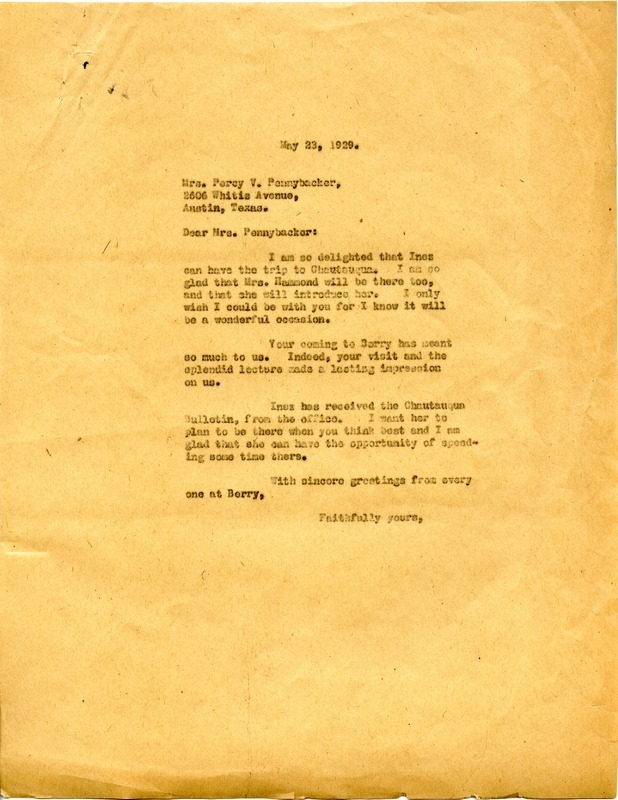 Martha Berry, “Letter to Anna J. Hardwicke Pennybacker from Martha Berry.” Martha Berry Digital Archive. Eds. Schlitz, Stephanie A., Jordan Brannen, Sherre Harrington, Meg Ratliff, Chelsea Risley, et al. Mount Berry: Berry College, 2014. accessed April 19, 2019, https://mbda.berry.edu/items/show/13699.